We also offer a few services - aroma therapy, including massage, Estonian handmade natural cosmetics Ingli Pai, and pastoral care. Goat milk soap - a perfect gift to your skin. 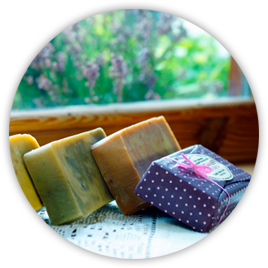 Our natural handmade soaps are made from fresh goat milk,natural fats and oils.The colors are all natural too,never from dyes or synthetic colors and we only use high quality essential oils to scent our goat milk soaps. In addition to main component(olive-,avocado oil,palm & coconut fats), it also consist very little of some organic additives(pink clay,sea mud,sea buckthorn oil).The goal is not to sell scent or color, but product that would please both skin and nose. We prefer simplicity, as in it is charm. We use the goat milk because it provides many moisturizing and healthy benefits to your skin. Goat milk is with very rich in composition - over 50 nutrients, important to organism, minerals (calcium, magnesium, iron, selenium), amino acids, vitamins (B-group, A, C, PP, D and E), which nourish and bring the skin to new life. All this is well present in fresh milk. Fresh goat milk has antibacterial and resiliance increasing effects. Goat milks composition is very close to humans breast milk, hence very suitable for people with allergies, problematic skin (acne, psoriasis, eczemas), and all skin types, from little to old. Goat milk soap has similar ph-level to human skin - let your skin thank you! Goat milk cools and nourishes skin. Gives skin vitality and slows down aging process. All these products are in accordance with the requirements of European Union Council Directive 76/768 EEC and had cosmetics product safety reports. Aromatherapy - fondle your body, soul and spirit. 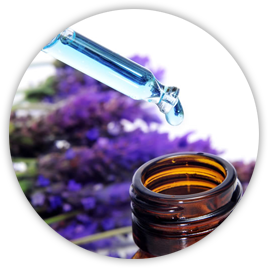 Aromatherapy is alternative care which uses aromatic plant oils or essential oils, and massage techniques, to treat both physical body and mind. It is mostly for preventative care, natural methods are good for strenghtening immune system, healing and preventing diseases.Aroma massage treats sucessfully physical and psychosomatic disorders (including anxiety disorder, internal tensions). As people change in time, so do their physical and spiritual problems. To prevent those, aroma massage is almost irreplaceable. Aroma from essential oils stimulates senses and body through brains sensing centers. Simultanious massage relieves tension, also in mind. Touch creates trust, satisfaction and improves the heart rythm. Massage improves blood and lymph circulation, is good for digestion, in case of insomnia, low or high blood pressure, lifts the spirit and creates feeling of well being. When essential oils, dissolved in base oils, are rubbed in your body, small oil molecules absorb, through your skin, to blood circulation and spread through entire body. Aroma massage, music and oils, work through your skin, help to relax your body and mind, so your psychomechanisms can, in better cases, even treat themselves. Aroma massage is one of the modern times best ways to relieve stress and its unwanted influances. In some cases aroma massage can be contraindicated. 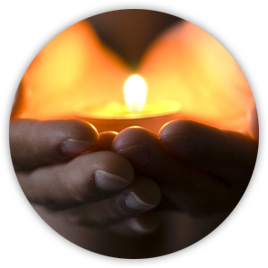 Aroma massage is performed by the hostess herself, who has education and professional licence of the field. We also provide pastoral care, where you can feel safe. It is listening, caring of your troubles. Bible teaches us, that nothing in this world has happened by chance. God is humans creator and He knows, how to fix shattered worlds. We ourselves are witnesses and believe, that greatest wonders happen, when you allow Gods intervention. 87 percent of Estonias population suffers under stress. Over 20 000 new psyche disorders are diagnosed every year. Mental and Spiritual health are tightly related to physical wellbeing. We believe, that God cares of every person, and wants to help.